A 64 ounce container of good cranberry juice. We use Ocean Spray. A 10 ounce container of frozen OJ concentrate. Mix it all together in a lidded plastic container. Freeze overnight. The alcohol keeps it from freezing solid, it makes a cranberry orange slushy that is delicious! 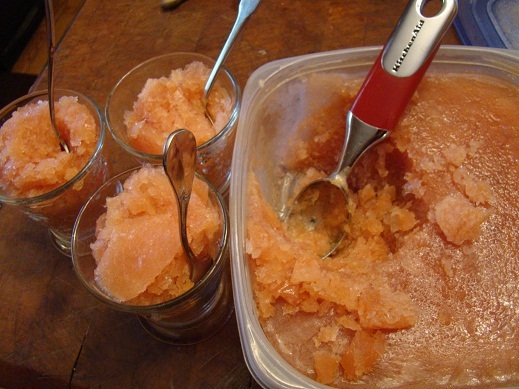 Ever since you gave me this recipe a few years ago, any time any of my friends come over, no “Hi, how are ya?” It’s always do you have any of your slushy in the freezer?